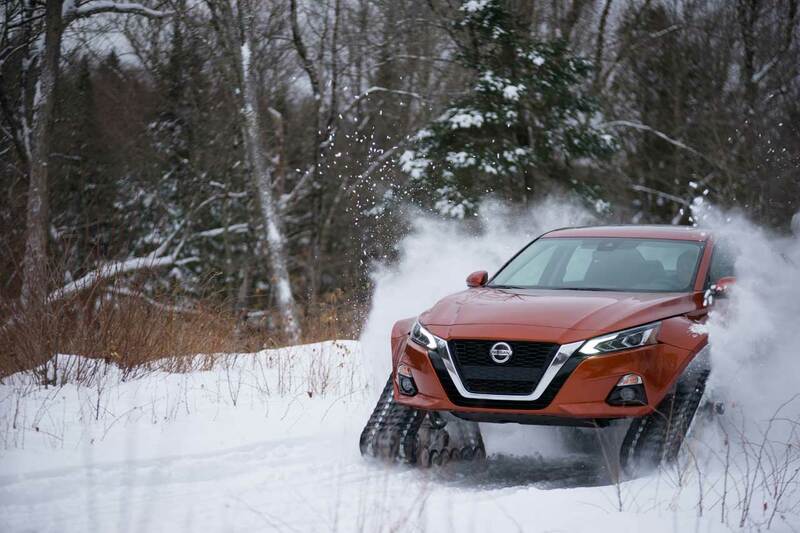 Nissan has pulled the wraps off another crazy concept car that will be making the car show rounds – this time up in Canada. 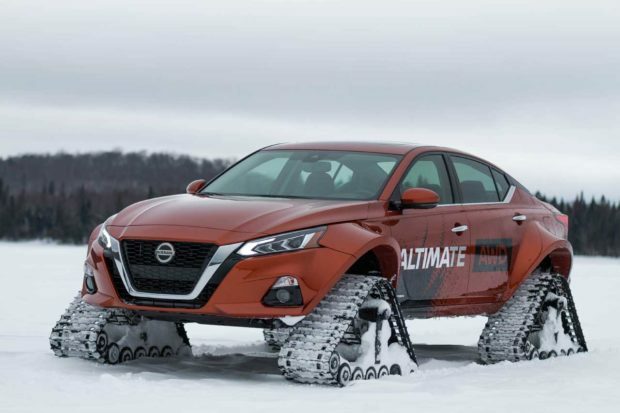 The Altima-te is much like the Rogue Warrior from a few years back in that it ditches the wheels for tank-like tracks. 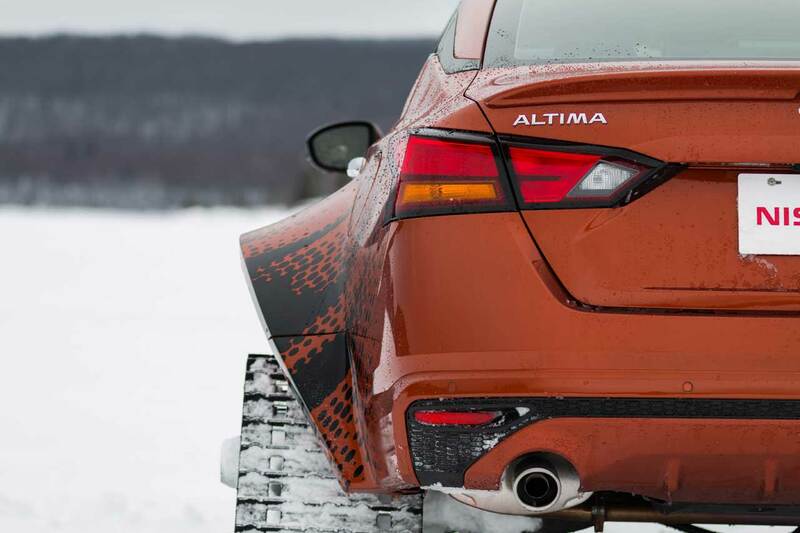 The tracks let the Altima-te tackle just about any terrain. 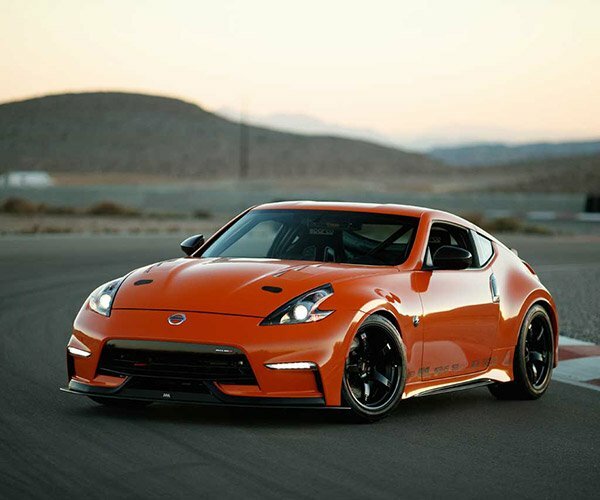 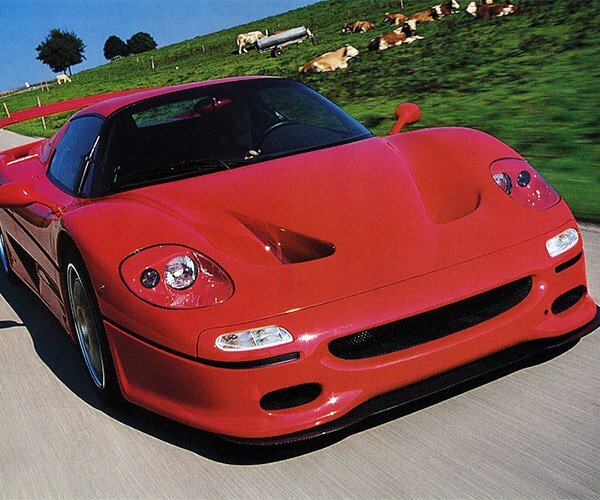 Nissan had to widen the car with crazy wide 7-inch flared fenders on each side to cover the treads. 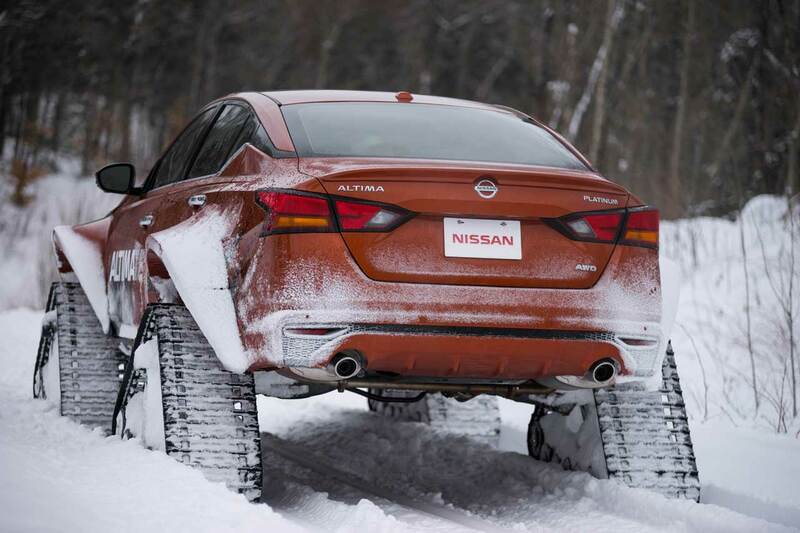 The treads measure 48-inches long x 30-inches tall x 15-inches wide. The show car is based on the new 2019 Altima AWD, and Nissan notes that in Canada AWD is standard. 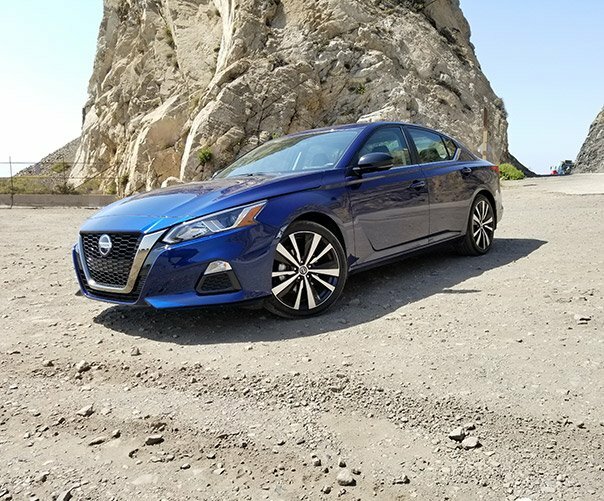 2019 Nissan Altima First Drive Review: The Altimate Midsize Sedan?